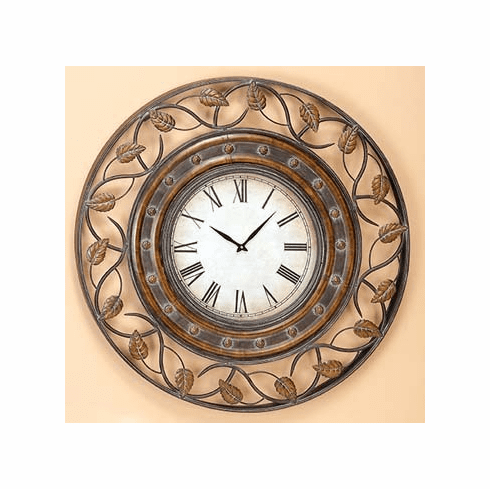 You are viewing a large, easy-to-read wall clock set in a beautiful iron frame. The frame features cast leaf patters over swirling iron designs. measuring 36" in diameter. The clock face itself measures 16". This clock is quality merchandise. The extra large metal wall sculpture has big and easy read numbers. Embeded into your contemporary home, it bring aging accents. Perfect new home owner and home builder, model house. * Extral large with 36" in diameter,The clock face itself measures 16"